As we all know, getting those first few reviews for a product on Amazon is quite difficult. You need sales to get the reviews and reviews to get those sales. It is a vicious cycle that has left many sellers troubled, seeking a solution to their woes. In a bid to make things easier for its merchants, Amazon came up with a novel solution - Amazon Early Reviewer Program. Amazon Early Reviewer Program, as the name suggests, was introduced by Amazon to help its sellers get reviews for new products. It came into effect shortly after the e-commerce giant banned incentivized reviews as they made it quite tricky to judge the authenticity of said reviews. Sellers can choose the products they want to enroll in the program. After that, Amazon will contact the customers who have purchased these items, at random, to ask them to leave an authentic review and share their experience. 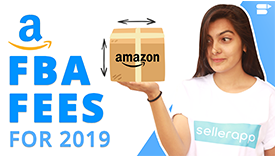 In return for their testimonials, these customers will be rewarded a small Amazon.com gift card, ranging from $1 to $3. It doesn’t matter whether the product is worthy of 1-star or 5-stars; as long as the customers have purchased any of the participating items, they will be eligible to leave a review under the program. Amazon Early Reviewer Program is a win-win situation for both shoppers and sellers. Sellers get more exposure for their products and brands, while buyers get a small reward for sharing their opinion. Reviews from this early reviewer program are distinguished and identified by an orange badge. How to join Amazon Early Reviewer Program? Sellers can access the early reviewer program in the Seller Central portal under the Advertising tab. Amazon Early Reviewer Program is open to only those brand owners who are registered with the Amazon Brand Registry. If you are not yet registered in it, do a Trademark Search first before registering your brand. Once you register, it may take up to 72 hours before you can access the Early Reviewer Program portal. To submit products for enrollment, upload the eligible SKUs in the template. Up to 100 products can be uploaded at once. SKUs must be parent-level or stand-alone. Child SKUs are automatically enrolled with the parent. On the completion of enrolling the products, upload the template containing the eligible SKU’s. On uploading the template, you agree to Amazon’s terms and conditions for the program and also agree to be charged $60 per each SKU enrolled into the program. Amazon will continue gathering reviews for each SKU up to 1 year from the date of enrollment or until five reviews are gathered (whichever happens first). Finally, a seller can view the status of his or her submission within the portal. The uploaded file, along with the number of accepted products, the number of products not approved, and total uploaded products will show up in the Submission History & Product Enrollment Details section at the bottom of the page. How to Become a Reviewer for the Amazon Early Reviewer Program? Amazon shoppers have no way of finding out whether or not a product they are buying at the time of purchase is in the early reviewer program. It is because Amazon wants its shoppers to leave authentic, genuine reviews without the incentive of a future reward. It is only after they have purchased the product that Amazon will contact them and ask them to leave a review. Furthermore, this process is completely random, so there is no way to game the system. The only thing that shoppers can do is ensure that they don’t have a history of leaving abusive or dishonest reviews. Amazon Early Reviewer Program is a terrific way to get those early reviews for new products. These reviews are crucial in driving sales bringing in traffic as Amazon shoppers rely on reviews from fellow customers to buy a product. It is undoubtedly an effective investment that every seller must look into while launching a new product. How much does the Amazon Early Reviewer Program cost? Can any seller join the program? What are the advantages of joining the early reviewer program for sellers?